On this week's episode, the gang takes a break from the Transformers-a-thon to dive head-first into Sean Astin's Homemade Pool: The Movie a.k.a. 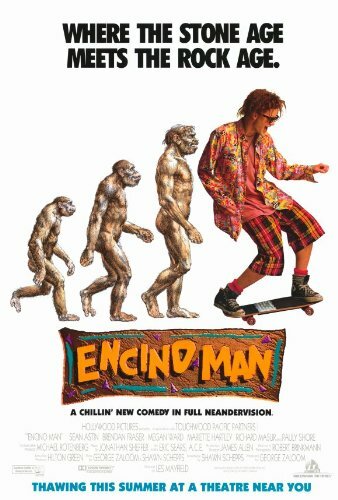 Encino Man! How did the screenwriters not know how ice works? Is Pauly Shore's character the smartest one in the film? And who builds their own goddamn pool by hand?!? PLUS: We rank all the Weasel's films whilst simultaneously munching down on some grindage and weasing the juice! Encino Man stars Pauly Shore, Sean Astin, Brendan Fraser, Megan Ward, Robin Tunney, Michael DeLuise, and Rick Ducommun; directed by Les Mayfield.